I am taking a break from my conversation about race and posting sermons to write something that isn’t exactly work related. Yet, in a way it is. Because of this family, I was able to say, long before taking a call to be the Area Program Director for West Africa, that I was familiar with West African culture. Anyway, here goes. In June, I was in New York City. 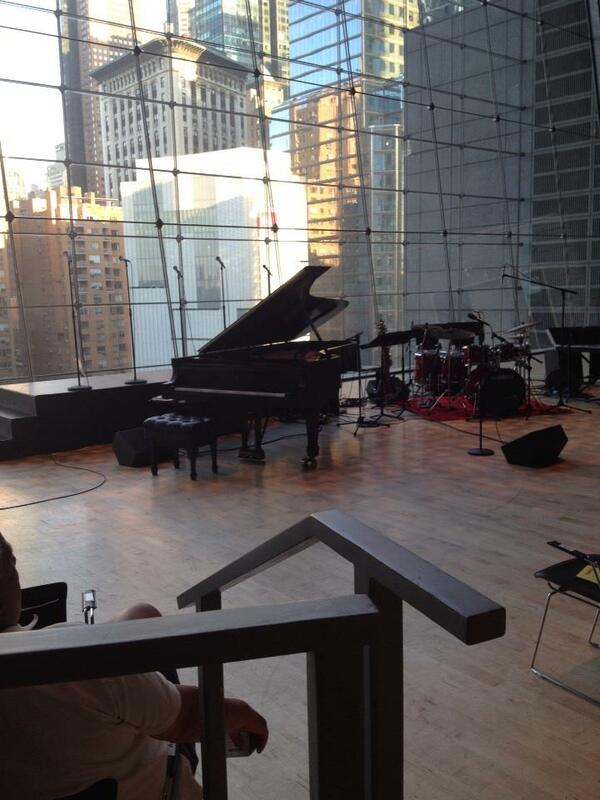 I was there to attend the concert of a dear friend held in a wonderful venue, Jazz at Lincoln Center. The view was spectaculor. This friend was born and raised in Togo, West Africa. The concert was dedicated to his father Papa Marc a music teacher, who also worked for the Peace Corps in Togo. In his work as a teacher and a worker for the Peace Corps he touched countless lives. (Including the life of a colleague of mine who was in the Peace Corps in Togo in 1978). My friend credits his father for raising him to be the man that he is and infusing his life with the love of music. He wanted to give this concert while his father, who is now 87, is still alive. He told the gathered audience that he wanted his father to see what happened with that first piano lesson he gave to his son. The results, I am sure his father would agree, are amazing. This friend has been teaching music for over twenty five years. He has taught in schools and played in churches. He is a very talented musician and for this he credits his father. You should see what he can do with children… he motivates them, helps keep them focused and brings out the best in them. What he does, is pure magic. One of his students now graduating from high school attested to this. She said that if it had not been for Mr. John she would not have progressed and she was grateful. This student is one of many who is now going to college to pursue a career in music. I have been watching him do this since 1998 and his talent still blows me away. My friend was nurtured in West Africa, his talent was born in West Africa. I have seen talent like his as I travel. In Sierra Leone I met a young church musician who stirs up his choir to sing wonderful praises to God. In Cameroon, I have heard voices that sound like angels singing. In Senegal, the creative artistry of the people is evident everywhere. I have been priviledged to see the great gifts of God in my friend and many others. I am so blessed to be westafricabound.